On Friday, March 15, our first four BroadcastHER Academy Challenge winners, including @MiladyConfetti, @RaineShadow, @ObeWon, and @RadPuppy, jetted off to the HyperX Esports Arena Las Vegas for a very special opportunity in partnership with HARMAN, Allied Esports, and HyperX. As part of their prize, they got a behind-the-scenes look at the gaming industry. While at the arena, they worked side-by-side with arena production and executive teams to execute the venue’s popular Friday Frags Fortnite tournament that happens each week. During the tournament, for icing on an already awesome cake, the 1,000 Dreams Fund and our girls were the special on-stage guests. 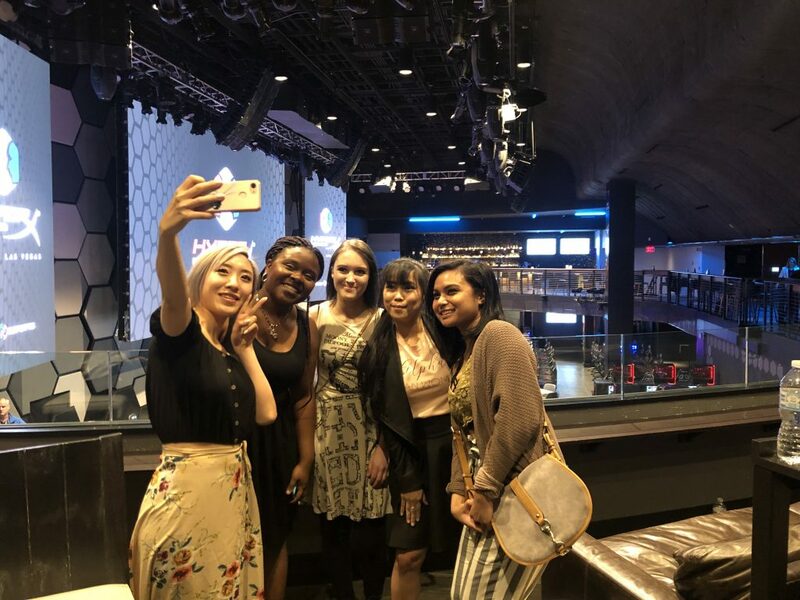 “This past weekend’s trip to the HyperX Esports Arena was a great experience to learn more about the business aspect of e-sports and the gaming industry while developing skills such as networking, casting, and production as well as gaining mentorship from partners including Harman and HyperX,” @MiladyConfetti shared. Each of our BroadcastHER Academy winners, announced here, receives a $1,000 grant towards their individual gaming goals — plus this all-expense paid trip to Las Vegas for a behind-the-scenes look at the gaming industry. It’s just another way we’re celebrating this next generation of young women interested in pursuing careers in e-sports, gaming, live video streaming, and the broadcast industry. Congratulations again to all our winners and a big shout-out to everyone living their broadcasting dreams; remember, don’t let anyone stop you! To learn more about the BroadcastHER Academy and to apply for future grants, follow this link.